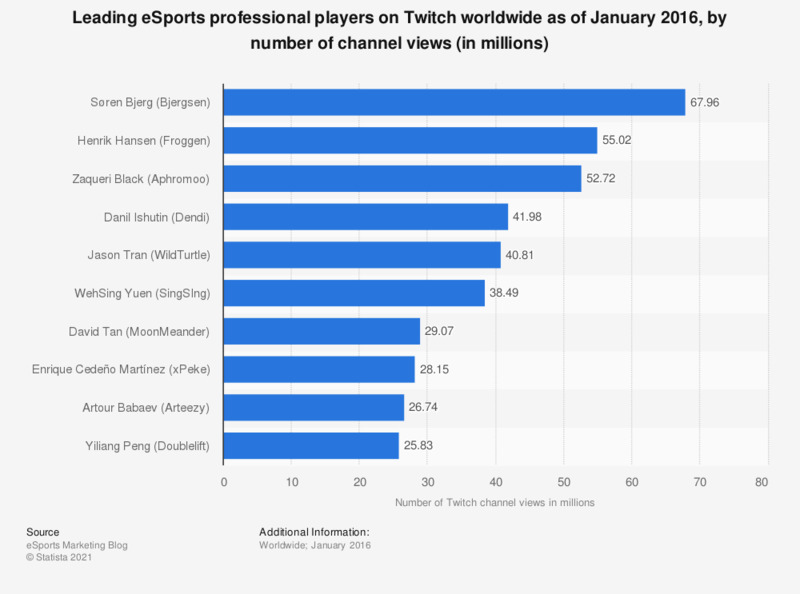 The graph shows the leading eSports professional players on Twitch worldwide as of January 2016, ranked by the number of channel views. As of the measured period, Søren Bjerg, a player from Denmark also known as Bjergsen, was the most famous on Twitch.tv, with nearly 68 million channel views. He was followed by Henrik Hansen, aka Froggen, whose channel was viewed more than 55 million times. Information on the top games on Twitch by viewing time can be found here.